Semplice tabella con comandi linux . a2p Creates a Perl script from an awk script. ac Prints statistics about users’ connect time. alias Create a name for another command or long command string. ar Maintain portable archive or library. arch Display the architecture of the current host. awk Awk script processing program. basename Deletes any specified prefix from a string. bfs Editor for large files. bg Continues a program running in the background. biff Enable and disable incoming mail notifications. break Break out of while, for, foreach, or until loop. bye Alias often used for the exit command. cancel Cancels a print job. cat View or modify a file. checkeq Language processors to assist in describing equations. checknr Check nroff and troff files for any errors. chfn Modify your own information or if super user or root modify another users information. chgrp Change a groups access to a file or directory. chkey Change the secure RPC key pair. chmod Change the permission of a file. chown Change the ownership of a file. cksum Display and calculate a CRC for files. cls Alias often used to clear a screen. comm Compare files and select or reject lines that are common. compress Compress files on a computer. continue Break out of while, for, foreach, or until loop. cpio Creates archived CPIO files. crontab Create and list files that you wish to run on a regular schedule. csplit Split files based on context. ctags Create a tag file for use with ex and vi. cu Calls or connects to another Unix system, terminal or non-Unix system. cut Cut out selected fields of each line of a file. date Tells you the date and time in Unix. dc An arbitrary precision arithmetic package. dd Convert and copy a file. df Display the available disk space for each mount. deroff Removes nroff/troff, tbl, and eqn constructs. dhclient Dynamic Host Configuration Protocol Client. diff Displays two files and prints the lines that are different. dircmp Lists the different files when comparing directories. dirname Deliver portions of path names. dos2unix Converts text files between DOS and Unix formats. dpost Translates files created by troff into PostScript. du Tells you how much space a file occupies. echo Displays text after echo to the terminal. ed Line oriented file editor. egrep Search a file for a pattern using full regular expressions. elm Program command used to send and receive e-mail. enable Enables and disables LP printers. eqn Language processors to assist in describing equations. exit Exit from a program, shell or log you out of a Unix network. expand Expand copies of file s.
fc The FC utility lists or edits and re-executes, commands previously entered to an interactive sh. fgrep Search a file for a fixed-character string. file Tells you if the object you are looking at is a file or if it is a directory. find Finds one or more files assuming that you know their approximate filenames. findsmb List info about machines that respond to SMB name queries on a subnet. finger Lists information about the user. fold Filter for folding lines. for Shell built-in functions to repeatedly execute action(s) for a selected number of times. foreach Shell built-in functions to repeatedly execute action(s) for a selected number of times. fromdos Converts text files between DOS and Unix formats. ftp</strong> Enables ftp access to another terminal. getfacl Display discretionary file information. gprof The gprof utility produces an execution profile of a program. grep Finds text within a file. groupadd Creates a new group account. groupdel Enables a super user or root to remove a group. groupmod Enables a super user or root to modify a group. gview A programmers text editor. gvim A programmers text editor. hash Remove internal hash table. hashstat Display the hash stats. head Displays the first ten lines of a file, unless otherwise stated. help If computer has online help documentation installed this command will display it. history Display the history of commands typed. hostid Prints the numeric identifier for the current host. hostname Set or print name of current host system. id Shows you the numeric user and group ID on BSD. ifconfig Sets up network interfaces. ifdown Take a network interface down. ifup Bring a network interface up. ip Show and manipulate routing, devices, policy routing and tunnels. isalist Display the native instruction sets executable on this platform. jobs List the jobs currently running in the background. join Joins command forms together. keylogin Decrypt the user’s secret key. ksh Korn shell command interpreter. ld Link-editor for object files. less Opposite of the more command. lex Generate programs for lexical tasks. link Calls the link function to create a link to a file. ln Creates a link to a file. lo Allows you to exit from a program, shell or log you out of a Unix network. locate List files in databases that match a pattern. login Signs into a new system. logname Returns users login name. logout Logs out of a system. lp Prints a file on System V systems. lpadmin Configure the LP print service. lpc Line printer control program. lpq Lists the status of all the available printers. lprm Removes print requests from the print queue. lpstat Lists status of the LP print services. ls Lists the contents of a directory. mach Display the processor of the current host. mail One of the ways that allows you to read/send E-Mail. mailx Mail interactive message processing system. make Executes a list of shell commands associated with each target. man Display a manual of a command. mesg Control if non-root users can send text messages to you. mii-tool View, manipulate media-independent interface status. more Displays text one screen at a time. mount Creates a file systems and remote resources. mv Renames a file or moves it from one directory to another directory. neqn Language processors to assist in describing equations. newalias Install new elm aliases for user or system. newform Change the format of a text file. nice Invokes a command with an altered scheduling priority. nischown Change the owner of a NIS+ object. nistbladm NIS+ table administration command. nroff Formats documents for display or line-printer. nslookup Queries a name server for a host or domain lookup. onintr Shell built-in functions to respond to (hardware) signals. optisa Determine which variant instruction set is optimal to use. pack Shrinks file into a compressed file. pagesize Display the size of a page of memory in bytes, as returned by getpagesize. passwd Allows you to change your password. paste Merge corresponding or subsequent lines of files. pax Read/write and writes lists of the members of archive files and copy directory hierarchies. perl Perl is a programming language optimized for scanning arbitrary text files, extracting information from those text files. pg Files perusal filters for CRTs. pico Simple and very easy to use text editor in the style of the Pine Composer. pine Command line program for Internet News and Email. pr Formats a file to make it look better when printed. ps Reports the process status. pwd Print the current working directory. quit Allows you to exit from a program, shell or log you out of a Unix network. rcp Copies files from one computer to another computer. red Line oriented file editor. rehash Recomputes the internal hash table of the contents of directories listed in the path. remsh Runs a command on another computer. repeat Shell built-in functions to repeatedly execute action(s) for a selected number of times. rgview A programmers text editor. rgvim A programmers text editor. rlogin Establish a remote connection from your terminal to a remote machine. rm Deletes a file without confirmation (by default). rmail One of the ways that allows you to read/send E-Mail. route Show and manipulate the IP routing table. rsh Runs a command on another computer. rsync Faster, flexible replacement for rcp. rview A programmers text editor. rvim A programmers text editor. sag Graphically displays the system activity data stored in a binary data file by a previous sar run. sar Displays the activity for the CPU. script Records everything printed on your screen. sdiff Compares two files, side-by-side. sed Allows you to use pre-recorded commands to make changes to text. sendmail Sends mail over the Internet. set Set the value of an environment variable. setfacl Modify the Access Control List (ACL) for a file or files. settime Change file access and modification time. sftp</strong> Secure file transfer program. sh Runs or processes jobs through the Bourne shell. shred Delete a file securely, first overwriting it to hide its contents. shutdown Turn off the computer immediately or at a specified time. sleep Waits a x amount of seconds. slogin OpenSSH SSH client (remote login program). smbclient An ftp-like client to access SMB/CIFS resources on servers. sort Sorts the lines in a text file. spell Looks through a text file and reports any words that it finds in the text file that are not in the dictionary. stty Sets options for your terminal. su Become super user or another user. sysinfo Get and set system information strings. tabs Set tabs on a terminal. tail Delivers the last part of the file. tac Concatenate and print files in reverse. tar Create tape archives and add or extract files. tbl Preprocessor for formatting tables for nroff or troff. tcpdump Dump traffic on a network. tee Read from an input and write to a standard output or file. telnet Uses the telnet protocol to connect to another remote computer. test Check file types and compare values. time Used to time a simple command. timex The timex command times a command; reports process data and system activity. 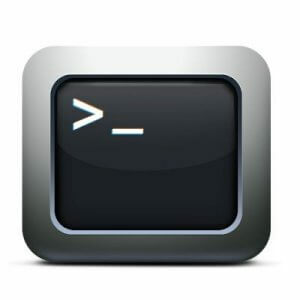 todos Converts text files between DOS and Unix formats. touch Change file access and modification time. tput Initialize a terminal or query terminfo database. traceroute Print the route packets take to network host. troff Typeset or format documents. ul Reads the named filenames or terminal and does underlining. unhash Remove internal hash table. uname Print name of current system. uniq Report or filter out repeated lines in a file. unlink Call the unlink function to remove the specified file. unmount Disconnects a file systems and remote resources. unpack Expands a compressed file. untar Create tape archives and add or extract files. until Execute a set of actions while/until conditions are evaluated TRUE. useradd Create a new user or updates default new user information. userdel Remove a users account. usermod Modify a users account. vedit Screen-oriented (visual) display editor based on ex. vi Screen-oriented (visual) display editor based on ex. vim A programmers text editor. view A programmers text editor. whereis Locate a binary, source, and manual page files for a command. while Repetitively execute a set of actions while/until conditions are evaluated TRUE. who Displays who is on the system. whois Internet user name directory service. X Execute the X windows system. xlsfonts Server font list displayer for X.
xset User preference utility for X.
xterm Terminal emulator for X.
xrdb X server resource database utility. yacc Short for yet another compiler-compiler, yacc is a compiler. yes Repeatedly output a line with all specified STRING(s), or ‘y’. yppasswd Changes network password in the NIS database. zip Compression and file packaging utility.